Its timeless design makes the Artemide Tolomeo Mini Parete a first-class eye-catcher – no wonder that this light source which was, for instance, awarded the Compasso d'Oro-AD is even to be found in design museums. Its aesthetic as well as filigree look is stylishly rounded off by the contrast between the glossy polished aluminium surface of the light arms and the wall bracket as well as the satin-finished, velvety aluminium finish of the light head. The Tolomeo Mini Parete is the little sister of the Tolomeo Parete and the big sister of the Micro version. The modular design of the Artemide Tolomeo Mini Parete turns out to be particularly user-friendly: the removable wall bracket can be replaced by a base, a table clamp or a screw attachment. 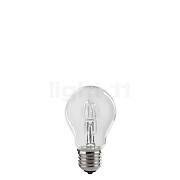 This way, you are presented completely new fields of application for this charming light. The designer icon Michele De Lucchi who received numerous awards designed the Artemide Tolomeo Tavolo jointly with Giancarlo Fassina in 1987 – this light then was the basis for the Mini Parete. 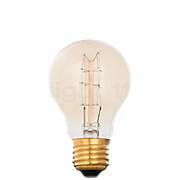 Its timelessly elegant design makes this lighting object one of the most coveted designer lights up until today. The design of the Tolomeo Mini Parete was penned by Michele De Lucchi and Giancarlo Fassina who created the Reading lights in 1991 for the manufacturer Artemide. 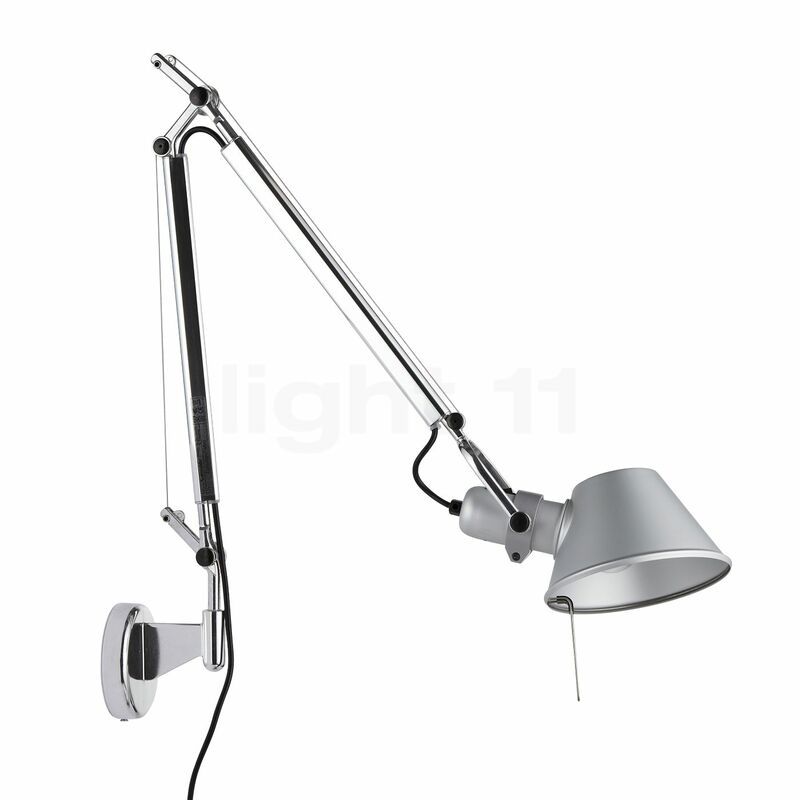 The Artemide Tolomeo Mini supplies cosy, bright and pleasantly soft focused light in a radius of 100 cm. The variably adjustable arms and the light head that can be rotated in all directions ensure maximum flexibility. By means of a filigree bracket on the light head, the Tolomeo Mini Parete can be easily and conveniently adjusted. This way, you are able to direct the light exactly to where it is required. Here, the intelligent spring balancing system ensures security and stability in every position. And whenever you do not need the award-winning wall light you can simply push it towards the wall where it is hardly noticeable due to its small size. No wall outlets are required for the installation; simply screw on the light, plug it in and ready you are. The 2 m cable offers the required space. The flexible Artemide Tolomeo Mini wall light can be conveniently operated by means of the switch directly integrated in the light head. A very good, beautiful and bright light. Thanks to the solid rope construction, the light is stable in any position. The assembly was very easy. We placed one of them on both sides of the bed and use them as bedside lamps. We purchased the light on account and only two working days later it was delivered; the processing was impeccable. 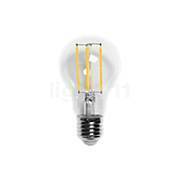 I can only recommend light11 as well as this light. Excellent design, nice lighting with halogn bulbs, solid craftmanship! Requires rigid wall mounting. Tell other customers and us about your experiences with the Tolomeo Mini Parete ! 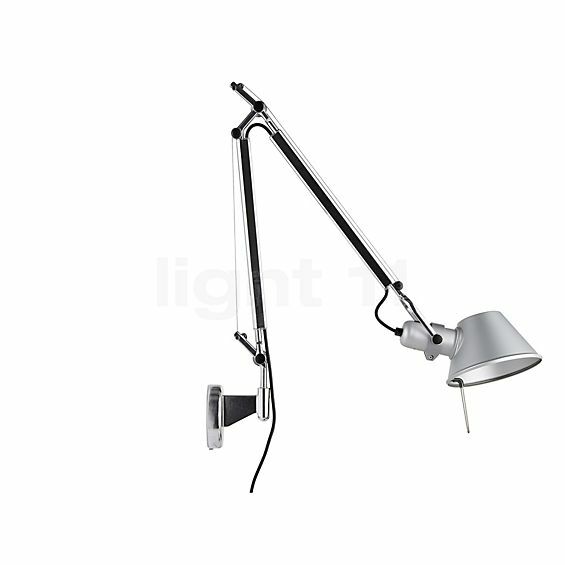 The Artemide Tolomeo Mini Parete wall light is the ideal lighting solution for a desk. 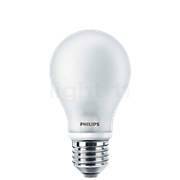 Here, it ensures comfortable “custom-fit” zone lighting that illuminates any kind of documents in a target-oriented manner. The advantage of this wall light compared to standard table lamps is that it does not occupy any valuable space on the desk. Installed above a bed in the bedroom, it supplies outstanding reading light that is easy on the eyes. Moreover, it may also be installed above an armchair or a sofa in the living room. 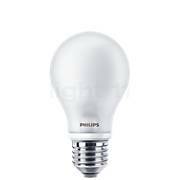 The light emitted upwards additionally contributes to creating an atmospheric ambience in the room.